August, time of holidays and, time of great exodus. For many, the moment of the long-awaited holidays is approaching. Often, however, the journey, for someone, turns out to be a real nightmare. Interminable queues at motorway toll booths. Hot. Afa. Kilometers of traffic. Austostrade for Italy, as per tradition, he has drawn up his personal ranking with the 2017 traffic forecasts. For each day of the month, three different time bands, and the related "vignette". A valid support for those who get ready to leave for 2017 holidays. Black stamp: maximum traffic concentration along the entire motorway network. Who was planning to leave SATURDAY 05 August, keep in mind that this day is, by far, the busiest. The only one to deserve the black sticker from 06: 00 at 22: 00. Friday 04 August, from 14: 00 to 22: 00. Saturday 05 August, from 06: 00 to 22: 00. Friday 11 August, from 14: 00 to 22: 00. Saturday 12 August, from 06: 00 to 22: 00. Saturday 19 August, from 06: 00 to 22: 00. Sunday 20 August, from 06: 00 to 22: 00. Saturday 26 August, from 06: 00 to 22: 00. Sunday 27 August, from 06: 00 to 22: 00. Saturday 02 September, from 06: 00 to 22: 00. Saturday 09 September, from 14: 00 to 22: 00. According to 2017 traffic forecasts, the best time to leave is between 22: 00 and 06: 00 in the morning. Given, hardly contestable. A3, Salerno - Reggio Calabria. A14, between Bologna and the Romagna Riviera. A29, Palermo - Mazara del Vallo. Our advice, before leaving, is to stay up to date. 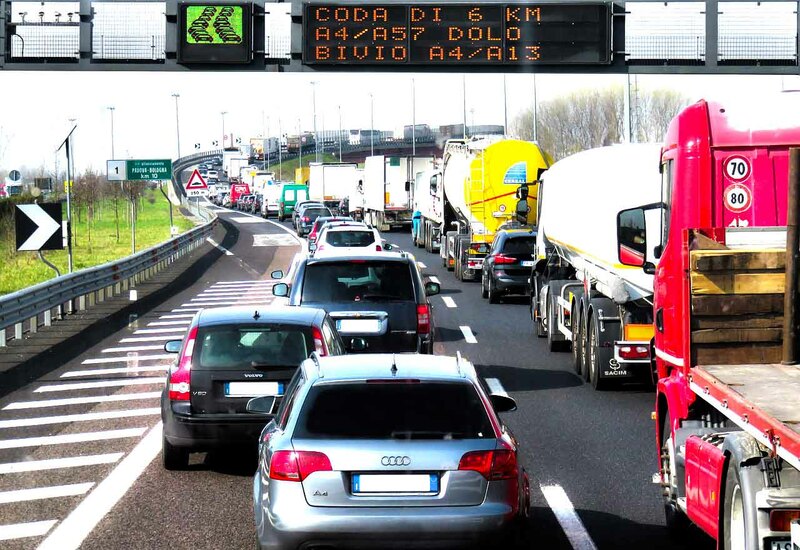 The MYWAY app developed by Autostrade per l'Italia is a valid support. Current traffic information in real time, and visible webcams along some important junctions and toll booths. The excellent Google Maps, offers alternative routes even in the event of an accident. And finally, the most modern navigators. Wide choice, and extremely valid. Real-time updates on traffic, accidents and much more, with alternative routes to reach their destination, as soon as possible.